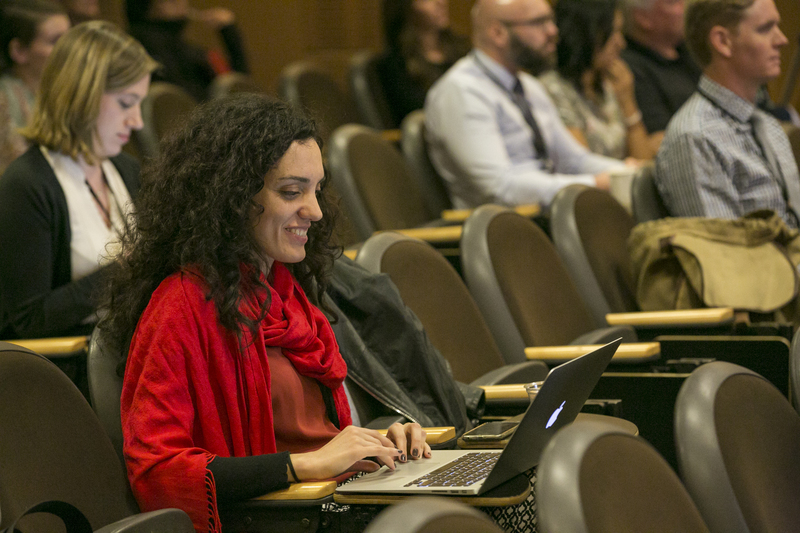 Key stakeholders from across our partner community who have collectively brought more than 2,500 courses to life on Coursera came together at our sixth annual Partners Conference to discuss strategies for creating high-quality online courses. Below are 3 key takeaways from this year’s Course Teams Track sessions. #1 It takes a village to create an online course. The importance of collaboration emerged as a key theme across this year’s conference and the collaborative team effort that goes into creating an online course was also a consistent theme in Course Teams Track breakout sessions. Instructors, instructional designers, project managers, administrators, video producers, media specialists, marketing specialists, community mentors, and many others all play a key role in making an online course successful. As Anne Trumbore from Wharton Online said, “One of the great privileges of working in a university setting is the value attached to the free and fair exchange of information. The more you share, the more you move ahead.” Elisabeth Villette from HEC Paris discussed how their marketing team increases learner awareness of the MSc in Innovation and Entrepreneurship program by interviewing lead instructors and sharing these interviews across key marketing channels. As a program lead of PwC’s first data analytics courses on Coursera, My Tran shared her experience as the bridge between subject matter experts and video production vendors. Christopher Haynes from University of Colorado Boulder highlighted the course producer’s important role in coordination: “[course producers] have to be down in the weeds of teaching, learning, and design; but at the same time, up in the clouds, reimagining higher learning in the digital age”. #2 Scaling up with quality is critical. “How do you do this at scale when you have more than 1 MOOC in production, more than 5 MOOCs live, and teaching teams are no longer available?” Tanja de Bie’s questions resonated with many participants of the Course Team Track. Tanja shared how Universiteit Leiden is innovating the support process through a unique mentor program. In 2017, Leiden engaged 250+ mentors and responsive community members to support Leiden’s catalog of online courses. Peter van Leusen from Arizona State University (ASU) shared how ASU rapidly increased scale by embracing new technology tools from trusted vendors. With this approach, ASU produced more than 3,000 videos in 2017, with an average of 16 videos per day. Alice Hobbs shared how the University of London is tackling quality at scale by dividing content creation into different stages and defining clear transition points between each stage to establish clearer ownership and team member accountability. #3 Building the right team is key. As more and more partners expand their course creation teams, hiring the right talent becomes critical. Common questions in this year’s networking session included: “What are the core skills of an instructional designer?” “Where do you find a video producer with a background in education?” “Who should project manage the content creation process?” Though there is no single correct answer, there was general agreement that the success of a team is largely due to the shared insights and expertise of its team members. This idea also extends to our larger partner community— opportunities to come together to share knowledge and best practices make us all better. We look forward to more opportunities for knowledge sharing in our course teams community over the coming year.